Deep learning has obtained state-of-the-art performance in many fields with its powerful ability of representation learning. However, unlike other data, EEG signals have temporal, spatial and frequency characteristics. For the EEG based depression detection, how to preserve these features when EEG signals are fed into neural networks and select appropriate network structure to extract the corresponding inherent patterns is a problem that needs to be solved. 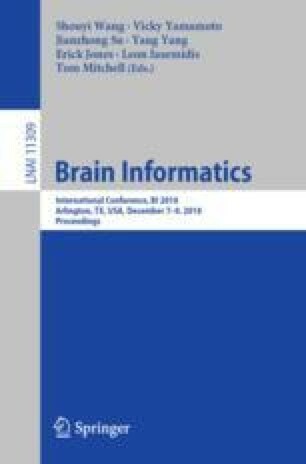 Inspired by the application of deep learning in image processing, we used the distance-based projection method and the non-distance projection method to construct EEG signals as inputs of neural networks. Four different networks were used to extract inherent structure from constructed data. As a result, CNN outperformed other networks, with the highest classification accuracy of 77.20% using the non-distance projection method and 76.14% using the distance-based projection method. The results demonstrate that application of deep learning methods in the research of depression is feasible. This work was supported by the National Basic Research Program of China (973 Program) [No. 2014CB744600]; the National Natural Science Foundation of China [Nos. 61632014, 61210010]; the International Cooperation Project of Ministry of Science and Technology [No. 2013DFA11140]; and the Program of Beijing Municipal Science & Technology Commission [No. Z171100000117005].